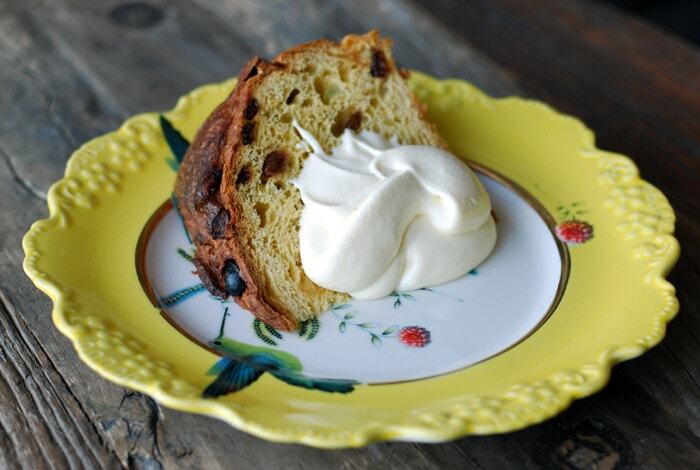 Traditionally, during the Christmas holidays, northern Italians enjoy Panettone accompanied with Mascarpone cream. This is my family recipe. Happy holidays!